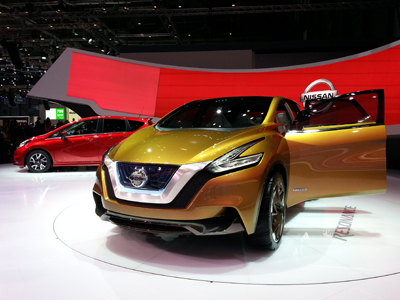 As we do at every major international car show, we visited the Nissan and Infiniti stands at Geneva to check out the latest products from the two Alliance brands. 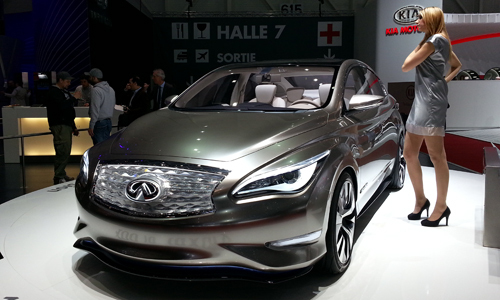 Stand-outs included the Resonance concept car, Infiniti’s new Q50 sedan, and the GT-R 2013 supercar. 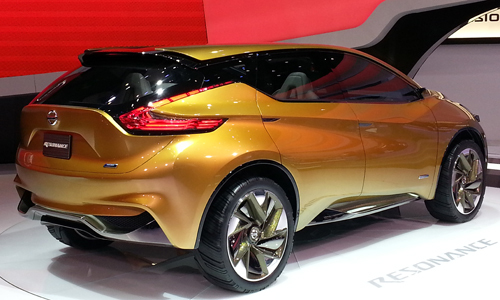 The Resonance concept car is the main attraction on the Nissan stand. Designed by the Nissan Design America studio, based in San Diego, the crossover previews the brand’s future styling approach. The design is both robust and flowing, while the floating roof effect is enhanced by large glazed areas. Resonance is powered by a hybrid drivetrain. A D-segment vehicle directly inspired by the Invitation concept car, the European version of the Nissan Note features a host of innovations, including the Around View Monitor park assist system and the Nissan Safety Shield, which monitors blind spots and alerts on lane departures. 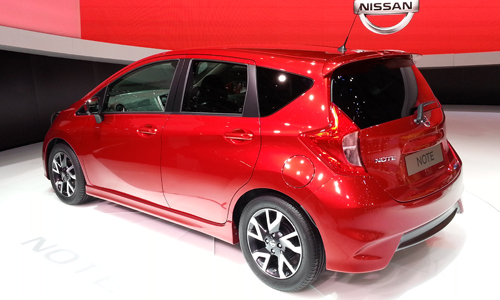 All Nissan Note engines are fitted with a stop-and-start system. The Nissan Leaf on show at Geneva looks much the same as the previous model but features new technology (new drivetrain, heating system), practicality (bigger trunk) and aesthetic touches. For the upgrades, the engineers took their inspiration from customer feedback (50,000 units sold so far). 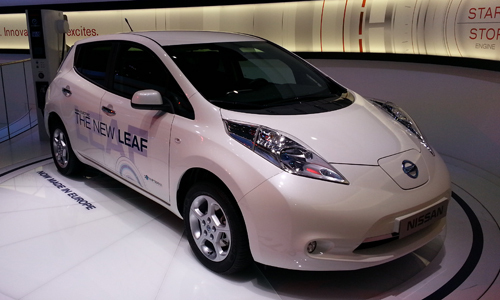 Originally produced in Japan, the Leaf will now be manufactured in Europe (UK) and the United States. Nismo, Nissan’s high-performance label, is exhibiting two new products. The Nissan 370Z Nismo coupé has a more aggressive and aerodynamic look, plus a 3.7-liter V6 developing 344 hp. 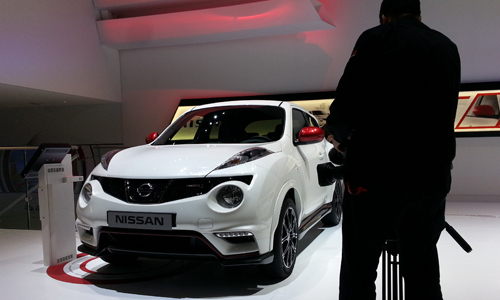 The Nissan Juke Nismo also gets more radical styling and a 200 hp, 1.6-litre turbo. It is available as a front-wheel-drive model and an “All Mode” 4X4. 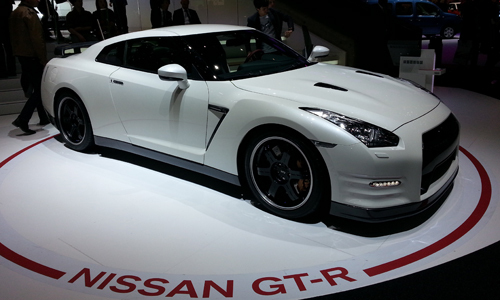 Last up for Nissan, the Nissan GT-R 2013 supercar with a 550 hp, 3.8-liter twin-turbo V6. The body has been stiffened and the suspension tweaked for an even more radical drive. 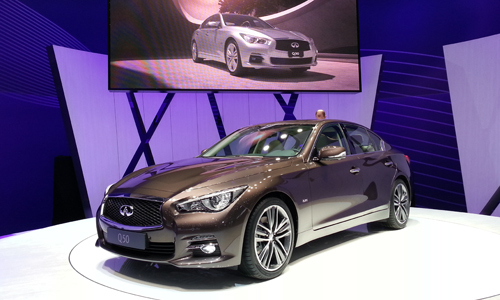 Over at Infiniti, the G name has been replaced by the Q50, a good-looking premium sedan. The Q50 will initially be available with a 170 hp, 2.2-liter diesel, before the arrival of a 364 hp hybrid drivetrain. Infiniti is also presenting a full-electric concept car, the Infiniti LE Concept (which made its debut at the 2012 New York Auto Show). Based on the Nissan Leaf platform, the LE Concept embodies the idea of “luxury electric mobility” and stands out with its wireless charging system. The production model is expected in the next two years.